You want your family to have healthy, confident smiles. Good dental health begins by finding a local dentist you can trust who provides the preventive services and restorative treatments your family needs. Your partnership with a local dentist can be a fulfilling relationship that lasts many years and keeps your family healthy for the long-term. So how do you find the dentist that’s right for you and your family? 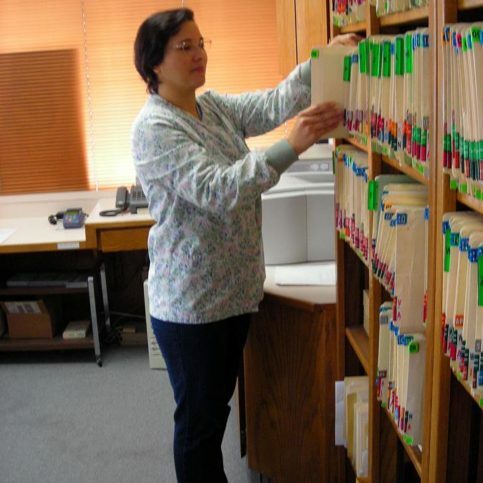 Research and good information are the keys to success. 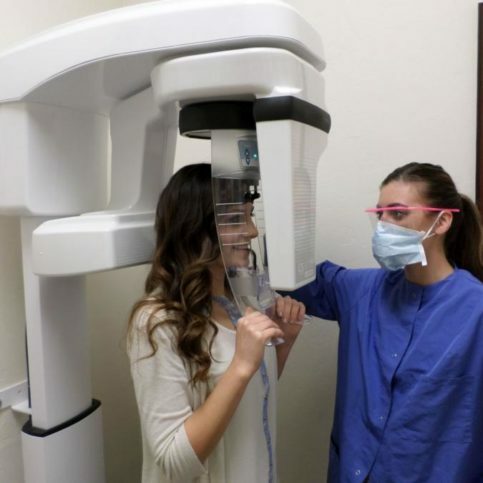 Read the following articles to find out how you can get the information you need to be confident in your choice of a highly qualified dentist in Alameda County. Choosing a dentist is a very personal decision. 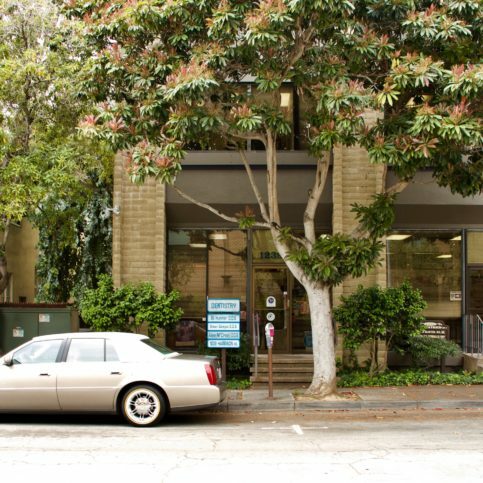 Finding a good match will ensure that your Alameda County dentist provides high-quality dental care for you and your family for many years to come. 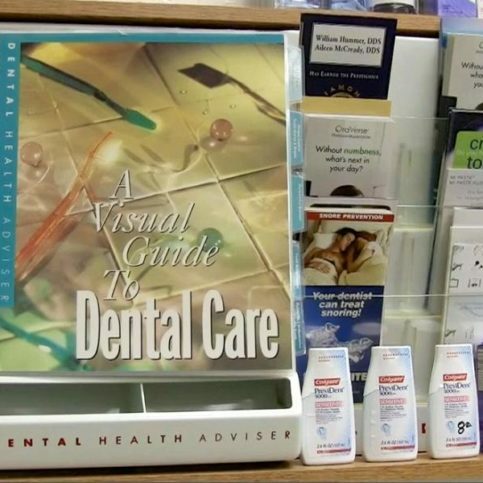 A dentist’s educational background, philosophy about dental health and preventive treatments, and history in your community may influence his or her dental practice. However, despite these background differences, there are some qualities that all dentists should offer, regardless of style or personality. 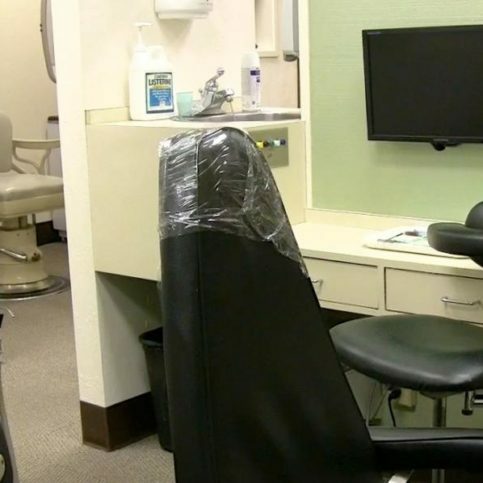 Dentists in Alameda County must be licensed by the Dental Board of California (DBC), which operates as part of the California Department of Consumer Affairs. You can check the license status of any dentist by visiting the DBC website or you can view a list of all licensed dentists by county. Any disciplinary actions against the dentist will also be noted. All Diamond Certified dentists have already been thoroughly vetted for you, including license verification. However, if there are no Diamond Certified dentists in your area, it’s important to do the background research yourself. Dentist who are board certified meet a series of additional requirements beyond standard licensing. In order to be eligible for board certification, dentists must complete a post-doctoral residency in general dentistry, successfully pass a comprehensive written exam, and demonstrate their understanding of all dentistry practices in a demanding oral exam. To maintain board certification, dentists must complete 125 hours of continuing dental education every 5 years. 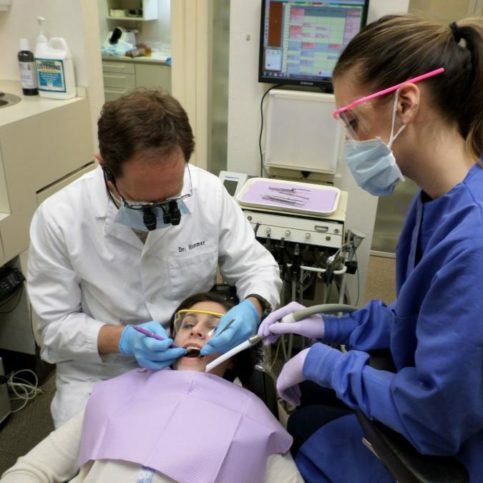 Only about 1 percent of general dentists have achieved board certification in dentistry. 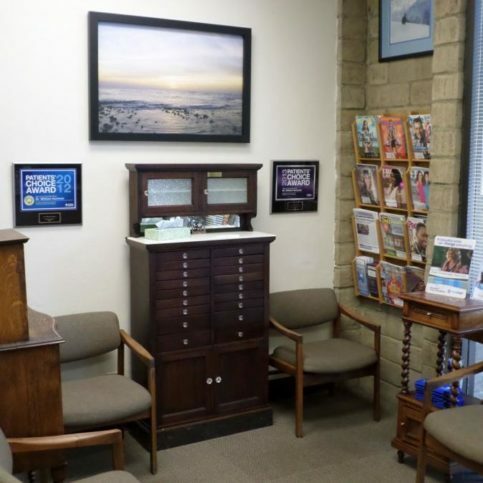 You can find a board-certified dentist in Alameda County by visiting the American Board of General Dentistry website. If you have complex dental health problems that require oral surgery or comprehensive dental work, you may wish to seek dentists in the larger cities of Oakland, Fremont, Hayward, Berkeley, San Leandro, or Pleasanton who have experience treating complex dental disorders. Why Trust Diamond Certified Dentists Rated Highest in Quality? 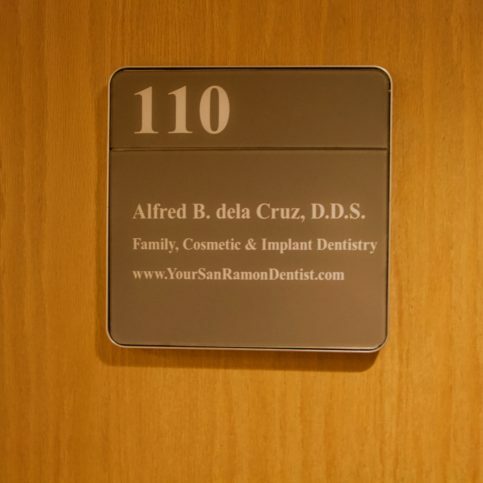 Dr. Alfred dela Cruz is owner of Alfred B. dela Cruz, DDS, a Diamond Certified practice since 2004. He can be reached at (925) 388-6930 or by email. A: I’m a diehard fan of the San Francisco 49ers, the San Francisco Giants and the Golden State Warriors. A: Actually, it was the ’63 Karmann Ghia that I’m restoring right now. A: Autographed baseballs. I have one signed by Willie Mays, but my favorite is the one signed by Buster Posey. 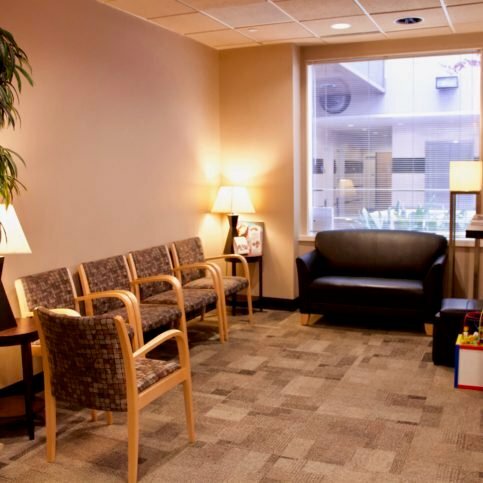 Alfred B. dela Cruz provides patients with a comfortable waiting room. 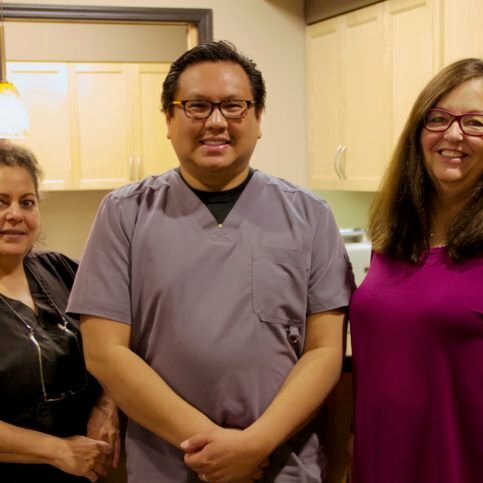 Larry Porteous Family DentistryÛªs staff strives to make patients feel at ease. 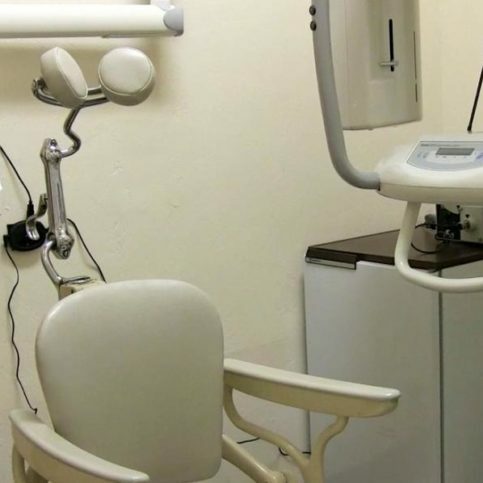 Each of Dr. dela Cruz’s evaluation rooms is equipped with state-of-the-art equipment. The following agencies and associations may be able to offer more information on dentists and dental procdures in your area. Before you even sit down in a dentist’s chair, it’s important to decide the qualities you’re looking for in a dentist. And it’s best to find a dentist when you need only preventive treatment. Trying to locate a dentist when you are immersed in a dental emergency can cause extreme stress and may lead to dissatisfaction with your emergency treatment. If you already have a dentist but are dissatisfied with their performance, ask yourself what you’re unhappy with and what qualities you want in a new dentist. Do I want a Diamond Certified dentist in Alameda County who is rated best in quality and backed by the Diamond Certified Guarantee? 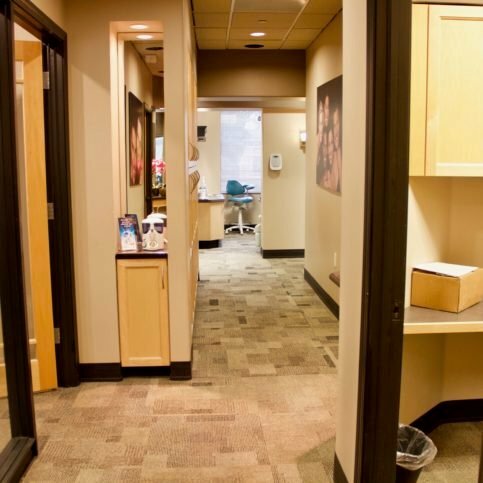 Do I want a dentist who operates from an office close to my home or close to my place of work? Am I nervous about visiting a dentist? Should I find a dentist who offers relaxation or sedation treatments during visits? 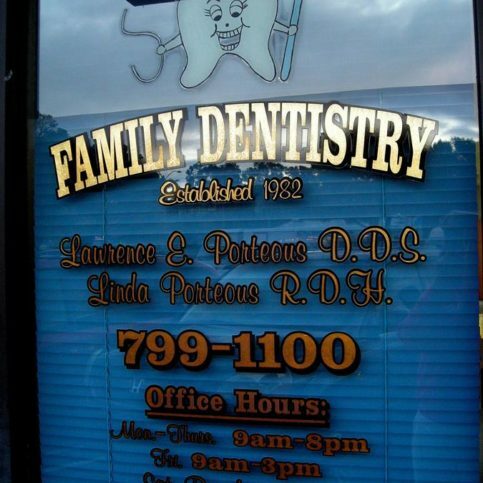 If I have small children, do I want a dentist who can provide treatment for our whole family, including my children? 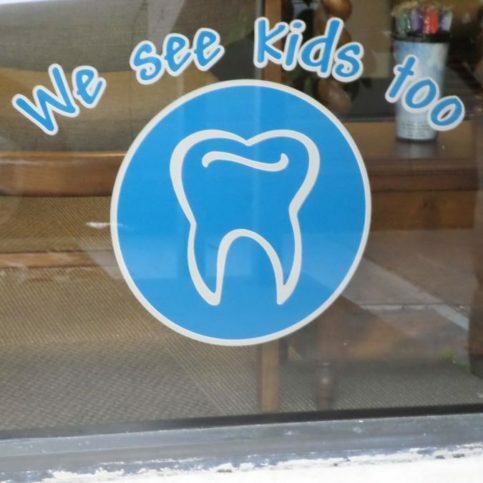 Or do I prefer a dentist who specializes exclusively in pediatric dentistry? Do I have a preference for the dentist’s gender? Am I more comfortable with a male or female dentist? Am I looking for a dentist who will offer cosmetic dental procedures, such as tooth whitening or tooth shaping, as well as restorative dental procedures, such as fillings or crowns? After you have contacted several potential Alameda County dentists by phone, it’s time for your first visit to the dentist’s office. 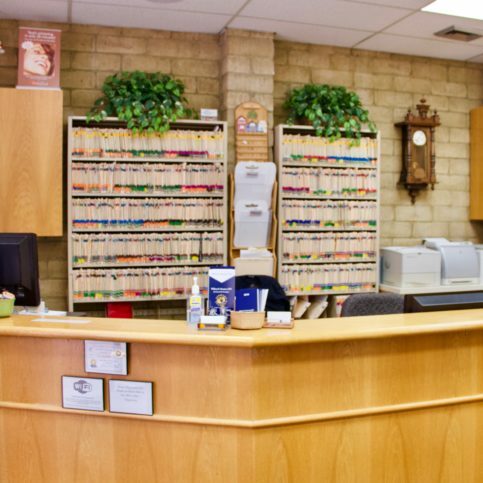 Meeting the dentist and office staff in person should help you determine if this is the right dental practice for you and your family. Remember, choosing a family dentist is a personal decision, so be sure you and your dentist share the same views about dental hygiene, treatment options, preventative dental care and overall health care philosophy before making your decision. Are the office staff friendly and helpful? Does the dentist explain techniques that will help prevent future dental health problems? Is dental health instruction provided? Does the dentist prioritize a treatment schedule to help you distinguish problems needing immediate attention from those that are less urgent? When the dentist recommends a treatment, does he or she outline how the options differ in cost and which solution will last the longest? If you don’t understand any part of the treatment recommendations, is the dentist open to answering your questions? It’s best to choose a Diamond Certified dentist because all certified companies have passed an in-depth ratings process that most other companies can’t pass. 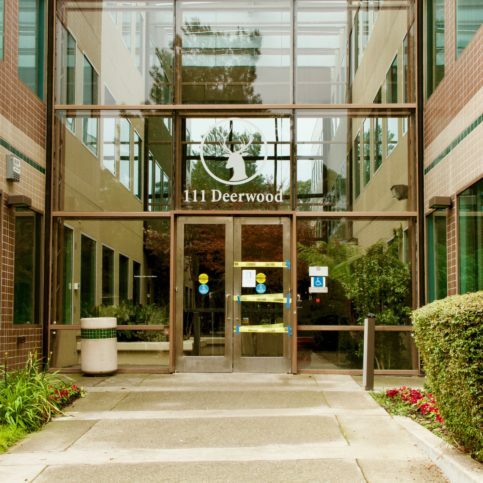 If you want quality from a dentist in Alameda County and the greater Bay Area, you can have confidence choosing a Diamond Certified company. Diamond Certified reports are available online for all certified companies. And you’ll never be fooled by fake reviews. That’s because all research is performed in live telephone interviews of actual customers. 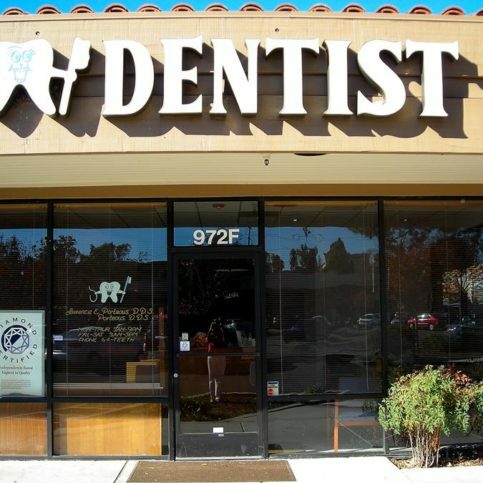 Were you satisfied after your last visit to Dr. (dentist’s name) office? What type of treatments did he or she provide for you? 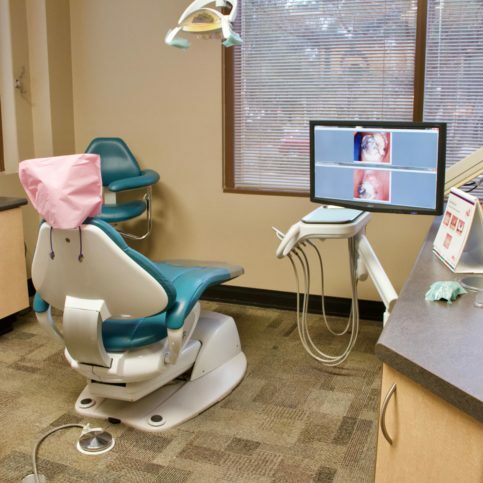 Were you able to book appointments for a tooth cleaning in a timely manner? Have you ever had to visit Dr. (dentist’s name) in an emergency? 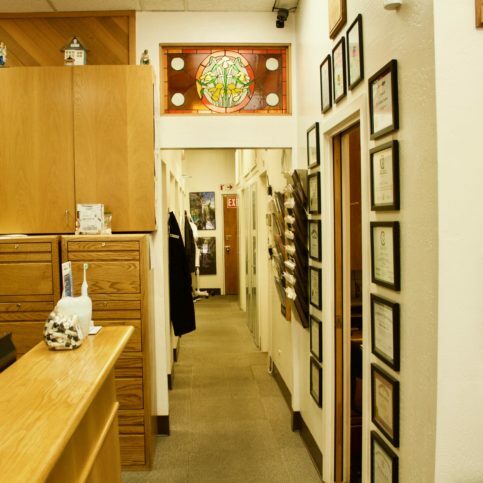 How satisfied were you of your treatment during that visit? Were you happy with the billing arrangements that the dentist provided? Did the office staff help you understand your bill? Did they assist you in ensuring that your health insurance was billed correctly? Did the dentist clearly explain any recommended treatment options to you? Did he or she give you an opportunity to ask questions? Did you feel pressured by the dentist to complete optional, cosmetic procedures? Did he or she clearly explain which treatments were medically necessary versus cosmetic? Would you return to Dr. (dentist’s name) for your next dental treatment? If you or one of your family members experiences a dental emergency, you will probably feel pressured to choose the nearest available dental office in Alameda County, regardless of whether you feel comfortable with the dentist and his or her staff. That’s why it’s best to select a dentist who fits your needs before you find yourself in a dental emergency. Having a comfortable relationship with your dentist for routine visits will give you confidence to trust your dentist if or when you need emergency dental repairs. Start by researching local dentists in your area of Alameda County when you need preventive care, such as your regular check-up and cleaning. Get to know your local dentist and build a solid, trustworthy relationship with him or her so that you’ll be able to trust them when it comes to more expensive or complex treatments. It’s best to build a dental history with the same dentist over time so that your dentist has your complete dental records – including x-rays and a list of treatments performed – and won’t perform unnecessary treatments or duplicate treatments. This also can help save time in an emergency since you won’t need to call or fax another dental office to get your records. 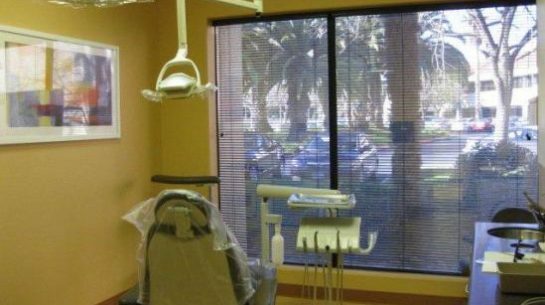 Can a dental office in Alameda County satisfy your requirements for easy scheduling, convenient location, friendly staff, and experienced dentist with knowledge on up-to-date procedures? Does the dental office communicate clearly and effectively to let you know when appointments are scheduled, how to read bills, and how to reach the dentist in the event of an emergency? Are the dentist and staff as dedicated to keeping your teeth in the premium oral health as you are? 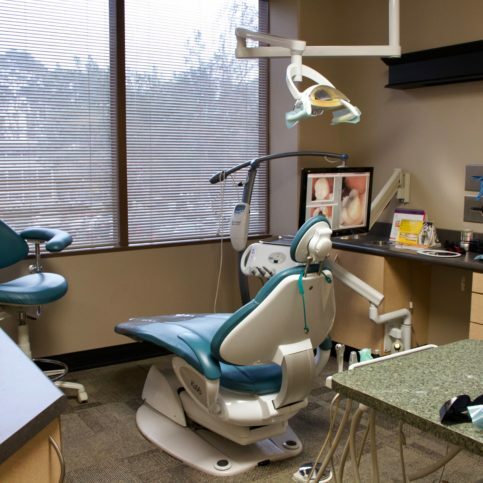 How Can You Be a Good Alameda County Dental Clinic Patient? You play a big part in the success of your dental health. Here are a few simple steps you can take to be a good patient when finding an Alameda County dentist. Be clear and upfront with the dentist and his or her office staff. Let them know what you want from your dental provider, the long-term outcome you’re expecting, and specific ways they can satisfy your expectations. Before you select a dentist in Alameda County, restate your expectations and goals, and reiterate your understanding of their policies. Most problems with local dentists occur because of a breakdown in communication. By being clear about your expectations and theirs, you can avoid most conflicts. 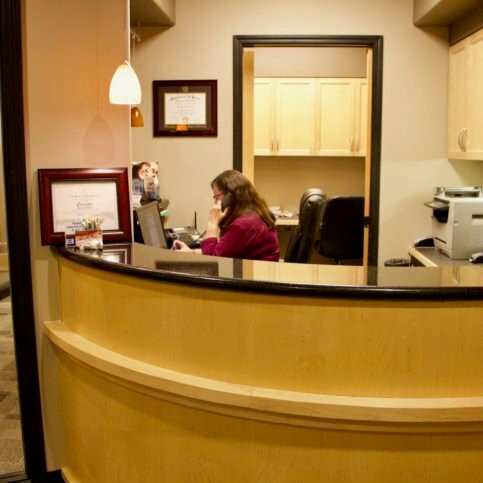 Be sure your dental office has a phone number where they can reach you at all times. There may be times when the dentist needs to reschedule or an appointment time opens up, and having the correct number on file will ensure that you get up-to-date notifications from the office. When your dental office contacts you, return calls promptly. Keep all scheduled appointments or be sure to cancel with 24-hour notice if you are unable to keep your appointment. Pay any co-pays or outstanding bills promptly. 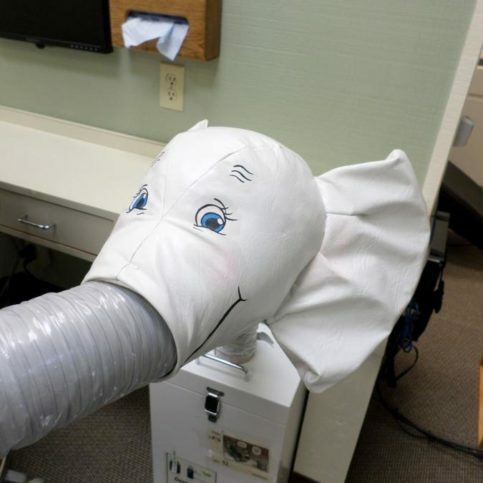 Why would you want to be a good patient? 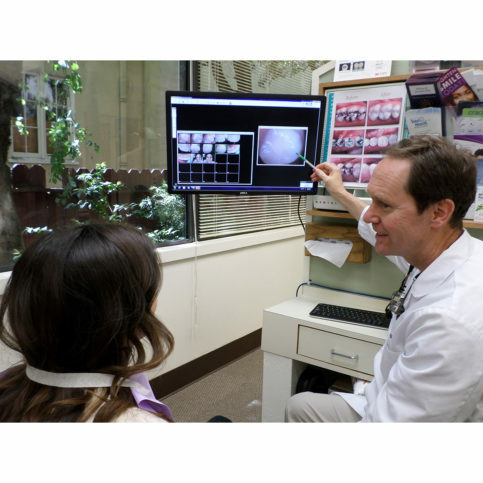 Dentists in Alameda County appreciate patients who are straightforward, honest and easy to work with. Your good behavior sets the tone from your end and creates an environment conducive to a good relationship. 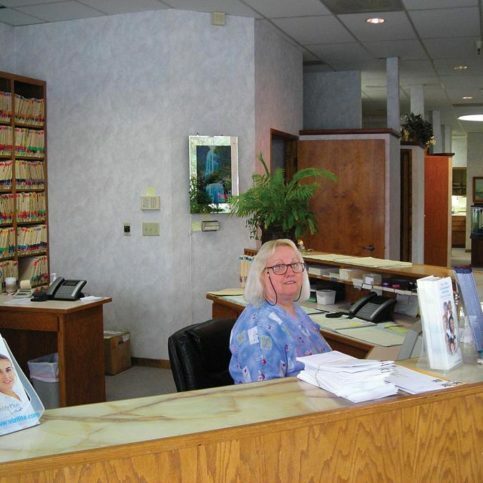 As a result, visits may go smoother and any problems may be more easily resolved. Dentists in Alameda County offer a wide variety of preventive and treatment options for your dental health. However, some dental procedures are more common than others. The following are the most common requests at local dentists’ offices. Dental fillings (used to repair a cavity in your tooth) are still the most common dental procedures performed by dentists today. A filling is typically completed at your dentist’s office, using local anesthetic. Your dentist may offer several options for filling material. Composite resin fillings match the color of your teeth and are bonded to the walls of your teeth with adhesive. Amalgam dental fillings, also known as silver or mercury fillings, were historically the most common filling material. However, because amalgam contains mercury, the Food and Drug Administration (FDA) has acknowledged that there are potential dangers with amalgam fillings (see FAQ section). As a result, more dentists have begun using composite resin fillings. A dental crown is used to cover a damaged tooth starting at the gum line and fully covering the entire visible portion of the tooth. This strengthens a weak or cracked tooth. Crowns may be made of a variety of materials, including metal, porcelain, resin, or combinations thereof. 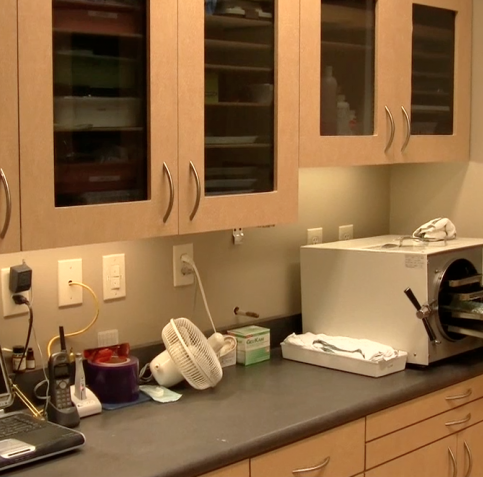 In a dental emergency, your dentist may make a temporary crown of acrylic or stainless steel that is used temporarily until a permanent crown can be made at a dental laboratory. This process typically takes 2-3 weeks. After receiving the crown, your dentist will anesthetize the tooth and gum tissue, file down the chewing surface, and cement the new crown in place. A root canal is a treatment to repair or save a badly decayed tooth. During a root canal, your dentist will remove the nerve and pulp of the decayed tooth, and then clean and seal the inside of the tooth. This prevents the decaying tissue from infecting the entire area and forming abscesses. Root canals are typically performed by an endodontist and may require several visits to finalize the treatment. Your dentist will take an x-ray to determine if the infection has spread to surrounding bone. He or she may use local anesthetic when completing the procedure. After drilling a hole in the tooth, the dentist will remove the pulp and decayed tissue from the tooth, periodically flushing away debris. After it is cleaned, your dentist will seal the tooth. This may be at the same visit or a week later. Depending upon the extent of the decay, you may require additional restoration work, such as a crown, to fully restore the tooth. Dental sealants are thin, plastic coatings applied to the grooves of permanent molars to protect from tooth decay. Sealants are commonly used for children and teens, since this is the most common area of tooth decay for younger patients. Applying sealants is an easy and pain-free process. After a tooth is cleaned, a special gel is applied to the tooth’s chewing surface for a few seconds. Then the tooth is washed and dried, and the dentist paints the sealant on the tooth. Sealants last anywhere from 5-10 years and can be reapplied if they are no longer in place. The Centers for Disease Control and Prevention (CDC) recommend sealants as a way to prevent tooth decay for children. Dental extraction is the removal of a tooth from your mouth. It is also known as exodontia. Your dentist may perform an extraction for a variety of reasons. Wisdom tooth extraction is routinely performed for impacted wisdom teeth, often for patients in their late teens or early twenties. For other extractions, patients may have such severe tooth decay that the tooth is not restorable and the entire structure must be removed. Depending on the type and severity of the extraction, your dentist may use either local anesthetic or general anesthetic (such as for wisdom teeth). A dental implant is a small rod-like device used to replace the root of your missing teeth. The implant is made of a strong, durable material such as titanium and provides a foundation for replacement teeth that are custom-made to match your natural teeth. Dental implants are used to support other dental treatments, such as crowns, bridges, or dentures. They are designed to fuse with your jaw bone and require multiple dental visits, dental surgery, and local anesthetic to complete the procedure. Dental implants are generally not covered by dental insurance. Many dentists offer services to improve the appearance of your smile. One of the most requested cosmetic procedures is professional tooth whitening. 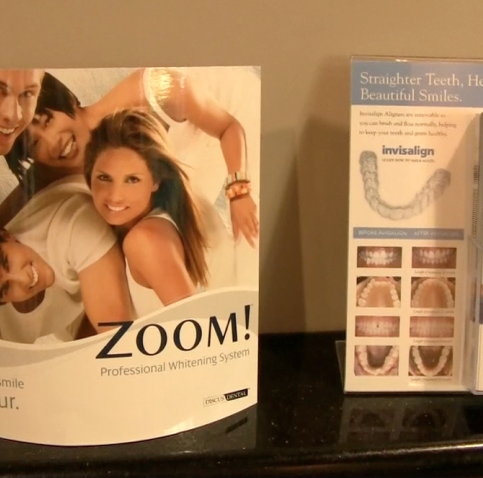 There are several options for tooth whitening at your dentist’s office. The quickest way to whiten teeth is bleaching. Your dentist applies whitening product to your teeth and then applies heat or a laser to the whitened area. 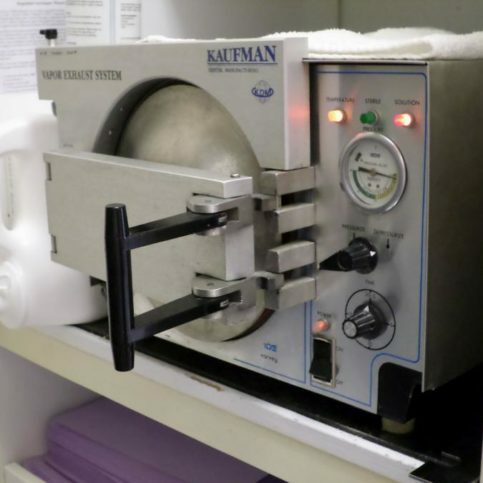 This usually requires only one 30-minute treatment and often provides dramatic results. Your dentist may also provide whitening gel and custom-fitting trays that you use at home to reduce or eliminate tooth stains and discoloration. While this method takes longer, it is often less expensive and may reduce tooth sensitivity. Tooth whitening is not permanent, so you will need to have the procedure repeated every 6-12 months to maintain results. A dental veneer is a thin layer of porcelain that is applied to the surface of your tooth. Dental veneers allow dentist to change the size, color, or shape of your teeth for a more pleasing smile. Patients who have permanent stains that don’t respond to tooth whitening may choose to have a veneer applied to improve the appearance of their teeth. Dental bonding is the application of tooth-colored resin material to the surface of a tooth, similar to a veneer. It may be used to repair decayed, chipped, or cracked teeth or to close gaps between teeth. Dental bonding allows your dentist to change the shape, color, or size of your tooth and is usually less expensive than a veneer, but may not last as long. During the dental bonding procedure, your dentist will apply a tooth-colored resin to your teeth that is molded to the correct shape. Next, he or she will use a laser or UV light to harden the material. This is followed by additional contouring, trimming, and polishing to ensure that it matches the rest of your teeth. The entire procedure takes no more than an hour and generally does not require anesthetic or multiple office visits. Tooth contouring can be used to correct crooked, chipped, or cracked teeth. Your dentist may also use tooth contouring to adjust the length, shape, or position of your teeth. Dentists may use this as a substitute for orthodontic braces in some circumstances. During the tooth contouring procedure, your dentist will mark your teeth with a pencil. He or she may use a sanding drill or laser to remove small amounts of surface enamel, and then smooth and polish the tooth. Anesthetic is usually not required, and the procedure requires anywhere from one to three visits. At the end of your dental appointment, whether it was for a routine cleaning and checkup or a more complicated dental procedure, it’s up to you to ask questions about maintaining the health of your teeth and about the procedures done. This is especially important for more detailed dental procedures such as cosmetic dentistry, dental implants, periodontal disease treatment, dental restoration or other dental treatment that has multiple steps. Before leaving the dental office, it’s smart to talk with your dentist or hygienist about the services and treatments that were provided. That way, when it comes time to pay your bill or copay, you’ll be able to compare the services rendered to the charges. Even if your dental care is covered by your insurance provider, it’s still smart to be sure that you’ve gotten all of the services and care reflected on the invoice. If you have questions about your dental care, including what you should do to care for any implants or maintain the integrity of the treatments, now is the time to ask. If there are any treatments or materials listed on the invoice that don’t seem familiar to you, you’ll want to get clarification. Your dentist or hygienist should be willing and able to discuss the details with you until you are satisfied with their answers. 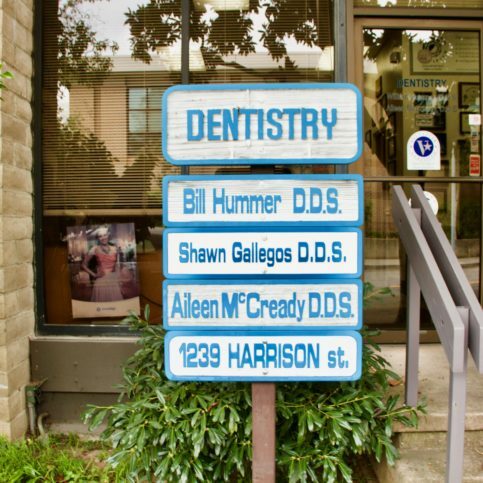 The name of the dentist office and name of the dentist and/or hygienist who provided your services. The physical address and state license number of the dental offices. A complete list of all services provided and dental work performed. An itemized list of materials and dental products (including name brands and model numbers of dental appliances, dentures, dental implants, etc. ), if applicable. The total cost for the dental services, including itemized amounts charged for materials, dentist’s time, hygienist time, and other fees. A written explanation of any warranties or guarantees provided by the dental office and/or product manufacturers. 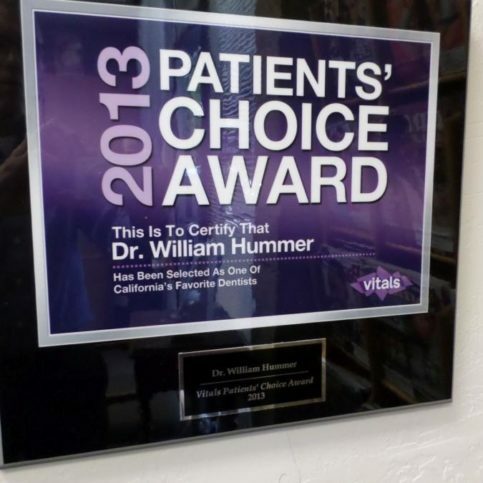 Diamond Certified dentists in Alameda County are backed by the Diamond Certified Performance Guarantee. If you and your Diamond Certified dentist cannot resolve the issue by speaking with the dental office manager or dentist, contact the mediation department at [email protected] or call 800-738-1138. Problems sometimes arise in even the best dentist/patient relationships. Your first step should be to discuss your concerns with your dentist. Oftentimes, problems are simply a matter of miscommunication, and this simple step resolves the issue. If you are still dissatisfied, be sure to document your concerns in writing and share them with your dentist. If this still does not resolve the problem, you may contact the California Dental Association or the Alameda County Dental Society (www.alamedacds.org). The Alameda County Dental Society can help resolve your dental care related complaints through their Peer Review Committee. This process was established to resolve the occasional disagreement about dental treatment. Peer review provides an impartial method for resolving misunderstandings about the appropriateness or quality of care or about the fees charged for dental treatment. After you contact the Alameda County Dental Society with your complaint, they will arrange a peer review committee to mediate the problem. This committee will meet to discuss the case and may examine clinical records, talk to your and your dentist, and potentially schedule an examination for a second opinion. A filling material commonly used to repair cavities in your teeth. Contains mercury combined with silver, tin, copper, and sometimes zinc. An infection of a tooth, soft tissue, or bone, resulting in inflammation, pus, tissue destruction and swelling. A medication your dentist uses that eliminates or reduces your sensation of pain during a dental procedure. An example of local anesthesia is numbing a tooth. General anesthesia results in partial or complete unconsciousness. Billing a patient for the difference between the dentist’s actual charge and the amount reimbursed under the patient’s dental benefit plan. A person who is eligible for benefits under a dental benefit contract. A single X-ray that shows your teeth from crown to the supporting bone on the same film. Chemical or laser treatment of natural teeth that uses peroxide to produce the whitening effect. Used to eliminate or reduce surface stains on your teeth. The covering of a tooth surface with a tooth-colored composite to repair or change the color or shape of a tooth.Generally used to repair a tooth due to stain or damage. A stationary dental prosthesis fixed to teeth that replaces one or more missing teeth. A bridge is typically cemented or bonded to supporting teeth next to the space. Also known as: a fixed partial denture. The medical term for clenching or grinding of your teeth, especially at night. The deposit of a hard mineral substance which sticks to either the crowns or roots of teeth. A small hole in one of your teeth caused by tooth decay. A part of a dental benefit program that allows the patient to share in the cost of covered services, generally on a percentage basis. A typical coinsurance arrangement is one in which the third- party insurance pays 80% of the allowed benefit of the covered dental service and the beneficiary pays the remainder of the amount due the dentist. A complete set of dental x-rays taken of a patient’s teeth and adjacent hard tissue, usually consisting of 14 to 22 bitewing images that display the crowns and roots of all teeth, periapical areas and alveolar bone crest. A synthetic restorative material made up of two different fillers; for example, resin and quartz particles. A branch of dentistry that focuses on enhancing the color and shape of teeth through dental procedures. The portion of a tooth above the gum line that is covered by enamel OR an artificial tooth or artificial replacement for the covering on a tooth. This replacement can be made of porcelain, composite, or metal and is cemented on top of the damaged tooth. A self-funded dental benefits program that reimburses patients according to dollars spent on dental care, not type of treatment received. Allows patients to be treated by the dentist of their choice. The naturally hard ceramic which covers the exposed part of your teeth. A dentist who specializes in the treatment of diseases or injuries affecting the nerves or root tips in your teeth. Root canals are often performed by an endodontist. A written statement to a beneficiary from a third-party payer, after a claim has been reported, indicating the benefit/charges covered or not covered by the dental benefit plan. Restoration of lost tooth structure with metal, porcelain, or resin materials. Cavities are treated with fillings. A mineral that strengthens your teeth enamel, making them less likely to decay. You ingest fluoride through the food or water, but it is also an ingredient in most toothpastes. It can also be applied as a gel or liquid to the surface of your teeth to help prevent cavities. The inflammation of your gums caused by improper brushing. Gingival gum tissue is inflamed, swollen, and reddish and may bleed easily when touched or brushed. Gingivitis is the first sign of periodontal (gum) disease. Without treatment, gingivitis leads to tissue destruction and tooth loss. The medical term for bad breath. Caused by poor oral hygiene, tobacco or alcohol use, or medical conditions such as respiratory infections or diabetes. An unerupted tooth that lies under your gum tissue and has not come in. A metal rod (typically titanium) that serves as a permanent replacement for one of your missing teeth. 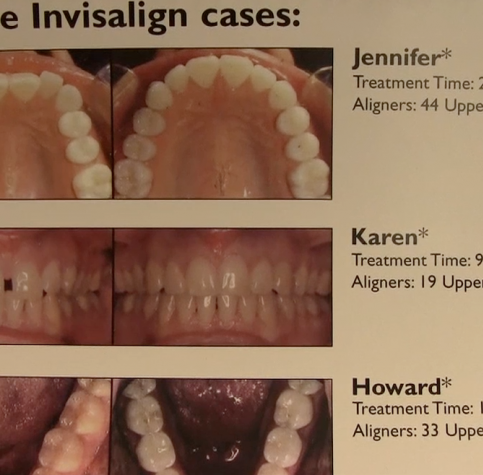 Differs from a bridge in that an implant is surgically placed into the jawbone. The technique of using a solution to wash out the mouth and flush debris from teeth. 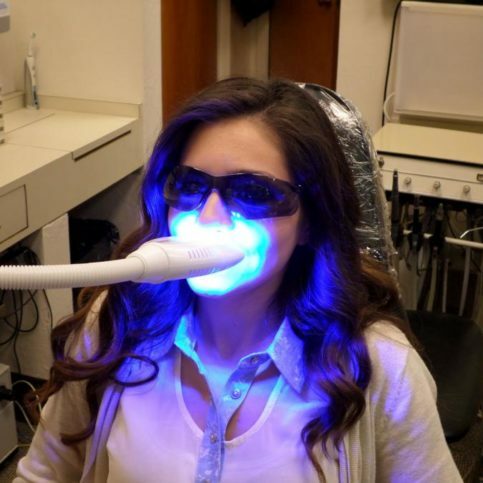 A gas administered during dental procedures to relax patients and reduce anxiety. A dental x-ray showing a complete two-dimensional representation of all teeth in the mouth. This X-rays also shows the relationship of the teeth to the jaws and the jaws to the head. A dentist who specializes in the treatment gum diseases. A periodontist must complete post-graduate training in periodontology for prevention, diagnosis, and treatment of periodontal diseases and inflammation. A sticky film that continually forms on teeth from food particles mixed with saliva and bacteria. When untreated, plaque turns into tartar or calculus and is the primary factor in cavities and gum disease. A dentist who specializes in the replacement of missing teeth. A procedure where the nerve and pulp of a heavily decayed tooth are removed from the tooth, and the inside of the tooth is cleaned and sealed. 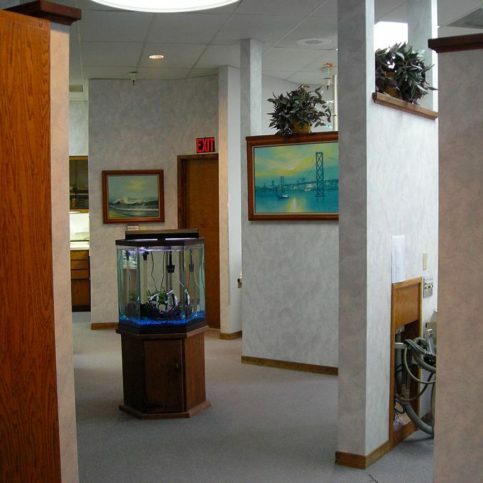 Typically requires more than one office visit, and is usually performed by an endodontist. A dental problem impacting the muscles and joint that connect the lower jaw with the skull. TMJ is typified by facial pain and difficulty opening or moving the jaw. Often accompanied by a clicking or popping sound when opening or closing the jaw. A thin shell of tooth-colored plastic or porcelain bonded directly to the front side of teeth to improve their appearance. A veneer may be used to replace lost tooth structure, close gaps, straighten teeth, or change their color and/or shape. The third and final molars that usually erupt between age 18-25. Wisdom teeth are often extracted before eruption to prevent future dental problems, such as tooth crowding, impacted teeth, infections, or cysts. High-frequency light or radiation that penetrates substances. In dentistry, there are typically four types of X-rays: periapical, bite-wing, occlusal, and panoramic. Q: Why choose a Diamond Certified dentist for your family? A: Diamond Certified helps you choose a dentist with confidence by offering a list of top-rated local practices who have passed the country’s most in-depth rating process. Only dentists rated Highest in Quality earn the prestigious Diamond Certified award. American Ratings Corporation also monitors every Diamond Certified company with ongoing research and ratings. And your investment is backed by the Diamond Certified Performance Guarantee . So you’ll feel confident choosing a Diamond Certified dentist for your family. Q: How often should I visit a dentist for optimal dental health? A: The American Dental Association recommends that patients have a dental check-up and tooth cleaning at least every six months. Some patients with special health concerns (such as diabetes) may require more frequent visits. If the cost of dental care is a concern, talk with your dentist about payment plans or other ways you can help mitigate the cost of preventive care while ensuring that you receive the treatment you need. Q: How can I prevent tooth decay? A: Tooth decay and cavities are caused by bacteria and food particles that are left on your teeth. Brushing, flossing, and eating healthy foods help limit the bacteria on your teeth and prevent tooth decay. Brush your teeth and tongue twice a day with a soft toothbrush and fluoride toothpaste. Be sure to replace your toothbrush every 3 to 4 months for optimal dental health. More and more Americans are using electric toothbrushes. Studies show that powered toothbrushes with rotating action are more effective at cleaning teeth than other toothbrushes. Beware not to scrub your teeth too vigorously, as this can cause gum recession and scratched tooth enamel. Just as your hygienist has been telling you all these years, flossing once a day helps prevent cavities. If you’re uncertain at the variety of floss choices, just pick one that appeals to you – the type of floss you use is not important. If using conventional floss is too difficult or inconvenient for you, a plastic flossing tool from your local drugstore can make flossing easier. You may also wish to try electric cleaning devices designed to clean between your teeth. They can be as effective as using dental floss. If your gums bleed when you floss, don’t be discouraged. The bleeding should lessen and eventually stop as your gums become healthier. Eat a variety of food, including whole grains, vegetables, and fruits, and food low in saturated fat and sodium. Both children and adults require good nutrition to maintain healthy gums and avoid tooth decay. Avoid foods that contain a lot of sugar, especially sticky, sweet foods like candy. If you do eat a sugary snack, brush your teeth as soon as possible. The longer sugar stays on your teeth, the more damage it will cause. Avoid snacking, especially before bedtime, since food particles left on your teeth at night are more likely to cause cavities. During the day, your saliva helps keep your mouth clean, but at night, saliva production decreases, resulting in a greater likelihood of cavities. Q: I have diabetes. What dental problems am I at higher risk for and what special care do my teeth require? A: Patients with diabetes are twice as likely to develop gum disease because they have a higher risk of uncontrolled blood sugars. When diabetes is not controlled properly, white blood cells are impaired, which is your main defense against bacterial infections in your mouth. In addition to tooth decay, diabetic patients also are more likely to develop gingivitis, thrush (fungal infection of mouth and tongue), dry mouth, and delayed healing of oral tissues after a dental procedure. Keeping your blood glucose levels under control is the most effective way to manage these dental problems, as well as the regular maintenance recommended for all patients: brushing and flossing. Be sure to inform your dentist or dental hygienist that you have diabetes when you have a dental check-up. 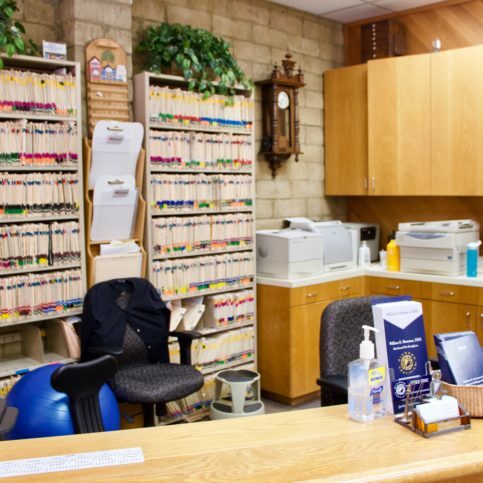 They are equipped to provide the specialized treatment you need. You may wish to postpone non-emergency dental procedures if your blood sugar is not under control. Q: How can I determine if my insurance covers dental treatment? A: Your health insurance company should provide you with information about your dental benefits. Check their website or call the number on the back of your insurance card to speak to a representative. You may also request that they mail you a Summary of Benefits that provides a detailed description of your coverage for medical and dental benefits. This document outlines the percentage of coverage by type of service and also what type of dental providers are considered to be in your health network. Some health plans may cover 100% of costs for routine dental care, such as cleaning and x-rays but only cover routine treatments such as crowns or fillings at 80%. You may also have a deductible that you pay out of pocket before your insurance pays toward the claim. Your dentist’s office may also provide cost estimates during your visit or estimate your co-payment amount. Ultimately, however, it is your responsibility to ensure you understand what costs you will pay out-of-pocket and what services are covered by your insurance provider. Q: I’m a pregnant woman. Is it safe for me to visit my dentist during pregnancy? Since baby teeth are formed even before birth, your child’s dental care starts with a healthy pregnancy. Give your child a kick-start to good dental health by eating a balanced diet and taking a prenatal vitamin supplement. Avoid sugary snacks, since some studies have shown that the bacteria responsible for tooth decay pass from mom to baby. If you are suffering from morning sickness, you may need to switch to a blander toothpaste during pregnancy. It is safe to visit the dentist during your pregnancy, but be sure to inform your dentist and dental hygienist that you are pregnant at your visit. Avoid x-rays during pregnancy, and postpone any non-emergency dental treatments as much as possible. However, your regularly scheduled dental check-up and tooth cleaning is more important than ever, since you are at risk for some pregnancy-specific dental problems. Some pregnant women experience unique dental problems, such as pregnancy tumors. Pregnancy tumors occur in up to 10% of pregnant women and are an extreme inflammatory reaction to food particles or plaque on the teeth. The painful tumors are large lumps with deep red pinpoint markings, usually near the upper gum line, and they make eating and speaking difficult. Some pregnant women also experience pregnancy gingivitis. This form of gingivitis is caused by the hormonal changes that that occur during pregnancy, particularly the increase in progesterone. Q: How should I care for my infant’s teeth? When should my child begin seeing a dentist? A: Experts recommend that your child’s dental care start at 12 months of age. If after the first visit, your dentist thinks your child will have dental problems, be sure your child sees a dentist every 6 months after the first primary teeth appear. It’s best to start good oral health habits before permanent teeth come in. Do not put your child to bed with a bottle of milk, formula, or juice, since the sugar in these products can lead to tooth decay. Breastfeeding your infant to sleep is safe. As soon as your infant’s teeth come in, start cleaning them with a wash cloth or piece of gauze. A pediatric dentist may also provide a specialized toddler toothbrush. Use only water until your child is 2. After your child is 2 years old, brush their teeth using a pea-sized dot of fluoride toothpaste. Teach him or her not to swallow the toothpaste. Most children can brush their own teeth starting around 3 years of age, although they’ll still need your supervision. Your child should be able to brush without your supervision by about 8 years of age. Around age 6, your child may begin using a fluoride mouthwash if he or she has a lot of cavities. Be sure to supervise to make sure they aren’t swallowing the mouthwash. Your dentist may also recommend a fluoride supplement if your water supply does not contain enough fluoride. To find out, call your local water company or health department. Your dentist may also offer the preventive method of applying a sealant to the grooves of your child’s back teeth to help prevent cavities. Studies show that children who have sealant applied regularly in school-linked programs have a 60% decrease in tooth decay. Q: What can I do if I’m nervous about visiting the dentist? A: Many patients find themselves getting anxious before a visit to the dentist’s office. It’s important during your research and interview stage to find a dentist who understands your fears and will listen to your concerns. Your dentist can provide easy remedies, such as earphones with music to mask the noise of a drill or a television to watch while sitting in the dentist chair. A scented candles or a neck wrap can help mask the smells of the dentist’s office. For procedures, your dentist may use local anesthetic, oral sedation and/or nitrous oxide gas to relax you and ensure your procedure is pain-free. If your fear is so extreme that you avoid important check-ups and dental procedures, you may benefit from finding a dentist who offers IV sedation dentistry. This allows you to be in a state of complete relaxation while the dentist completes your check-up or dental procedures. A: A DDS (Doctor of Dental Surgery) and DMD (Doctor of Dental Medicine) are the same degrees. Most dental schools award their graduates with a DDS degree; however, some award a DMD degree. The education and degrees are the same. Q: Could my low-carb diet be giving me bad breath (halitosis)? What dental practices can prevent halitosis? A: Studies have shown that low-carb dieters are more likely to suffer from halitosis (bad breath). This is usually a result of chemicals known as ketones which are released in the breath as the body burns fat. If you are carefully following a low-carb diet and experiencing chronic bad breath, you are probably doing a good job of maintaining your low-carb diet. Since this form of halitosis isn’t an oral hygiene problem, even diligent brushing and flossing will not solve the problem. Although you may be able to mask your bad breath with mouthwash, only changing your diet to include more carbohydrates will chase halitosis away. Brushing your teeth for at least two minutes in the morning and at night before bed. Brushing your tongue or using a special tongue cleaner. Rinsing your mouth with a mouthwash containing chlorine dioxide, which kills the bad-breath-causing bacteria. A: Over the past several years, patients and scientists have raised concerns about the substances contained in silver fillings (also known as amalgams). Because amalgams contain the toxic substance mercury, some people believe that amalgams are may be the cause of diseases such as autism, Alzheimer’s disease, and multiple sclerosis. The American Dental Association (ADA) and other public health agencies say there’s no proof that dental fillings cause harm to patients. In recent years, however, these agencies have noted that some patients may need to exercise more caution when it comes to their filling choices. The FDA now admits that a mercury vapor is released when chewing on an amalgam filling and also when silver fillings are placed or removed from teeth.